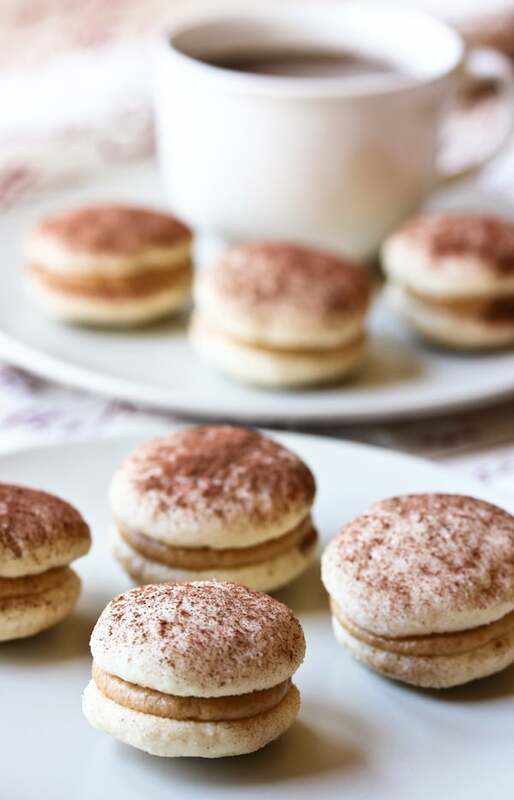 Tiramisu Cookies ~ little nibbles of Italian bliss. A delicately thrilling addition to your holiday cookie lineup. All right folks, I have a confession to make. This is my newest cookie recipe for the holiday season. When I dreamed up these Tiramisu Cookies, I believed myself to be the first person to ever think of something so wonderful. Alas, Google always shatters the dreams of a person who expects to be an original. I found (after the fact) that Martha Stewart has a Tiramisu Cookie Recipe. Here is my not-as-original-as-I-thought-but-still-completely-fabulous Tiramisu Cookie Recipe. 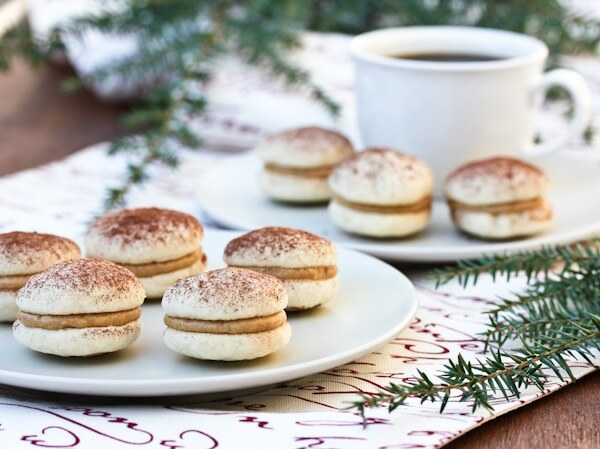 The cookies are tender boozy pillows filled with rich creamy mascarpone and espresso filling. Each sandwich is kissed with a sprinkling of unsweetened cocoa powder to mimic traditional Tiramisu. In the past, I’ve had an aversion to boozy extracts. I figure if you want something to taste like brandy, why not just add brandy. In this case, you simply can’t get a strong enough rum flavor without using an extract. You’d have to add so much rum that it would effect the texture of cookie dough. 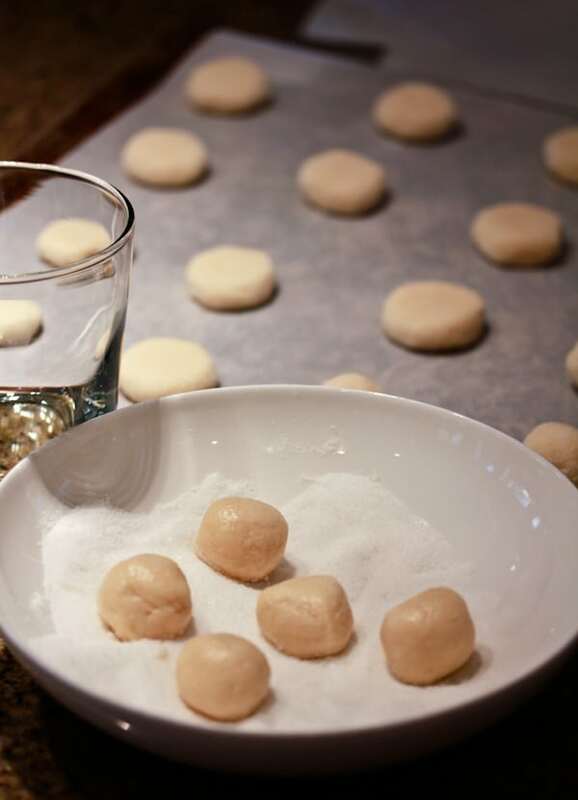 To make the cookies uniform, I like to roll them into equally portioned balls, then flatten them with the bottom of a glass. Pipe the mascarpone filling onto the bottom of each sandwich cookie and top. Allow the cookie to sit out for a while so the filling will set. Too sweet. Disappointed. I wish I would have tried t the dessert with ladyfingers instead. Maybe if balls left without flattening might puff up more??? I am wondering do not want to make another batch. Same thing happened to me, they are flat, no matter if i use dark pan, light pan, both on parchment, good sugar cookie anyways. See if anyone who made it had a problem. I am forbidden from baking them until after I’ve lost 10 lbs! 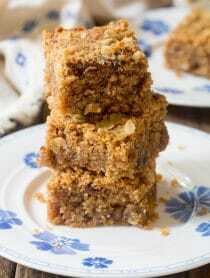 I included a link to your recipe in my Mother-Daughter Tea post today. I hope you’ll take a look: http://www.eeevents.net/#!motherdaughtertea/c1z7y Thanks! 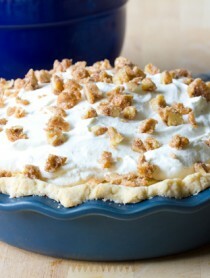 I have prepared but my filling cream was runny, when I have added powered sugar. Can you help me? Omg! I’m excited to make this. How long would the shelf life be? Because this will be a gift for my cousin’s wedding. Its an Italian wedding so this would be a great addition to their cookie table. Is this tranportable too? Meaning if the cookie is made 2 days before will it still be good? Does this need to he refrigerated because of the mascarpone cheese? Thank you! Hi Nina, You could certainly make them a couple days before hand, and keeping them would help them hold up, but is not essential. If you are worried about transportation, you could make the cookies and filling ahead, then fill them on sight. I would love to make these, do you have any suggestions how you would travel five hours with these? I wanted to make a treat with a twist on the traditional tiramisu and found this recipe. I changed it up just a bit- but it was the best cookie I have ever had the pleasure of baking. I looked in eagerly at each batch as it baked, and “sampling” from each one. 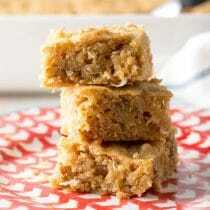 Would it be possible to use whole wheat flour in this recipe? I made these today for my step mom for the holidays. They flattened out a tad but looked lovely once put together. I can’t wait to hear from my stepmom . One of her favorite desserts is tiramisu cheesecake so this recipe seemed perfect for a mailed gift. These are both mine and my work office’s favourite cookies. I’ve made them twice already to share, and plan on doing it many more times. Thanks so much for this! Can I freeze these I’m starting my Christmas baking. I’ve enjoyed finding your cooking. Hi Cheryl, I wouldn’t freeze the filling, but you can bake and freeze the cookies and fill them later. 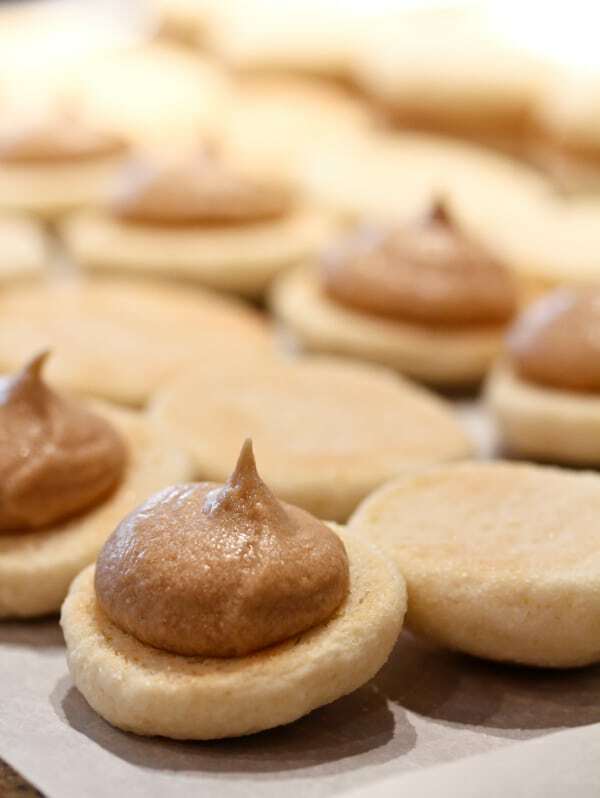 I would love to make these cookies for my annual cookie exchange. They look delicious!! Any tips on how I can make these ahead or freeze them? Any tips would be greatly appreciated! I’ve never heard of rum in tiramisu, what does it do flavour wise? I know that’s a stupid question, but I was debating leaving it out. Angie, It adds a boozy sweetness. If you leave it out it won’t have that boozy quality that tiramisu often does, but will still taste great. I’ve made these cookies about 5 times, now, since Christmas. They truly are fantastic…and a big crowd pleaser! Thank you for this recipe. I plan to wow them at the next workplace potluck. Hi Mukti, It is definitely a soft cookie, but not quite as soft as a whoopie pie. Sorry, one more question. Do you have any suggestions if you can’t find run extract? McCormick makes Rum Extract, so you should be a able to find it at your regular grocery store. Hi Melissa, Think of baking as “chemistry”… every measurement need to be precise for the baked good to have the right chemical reaction in the oven. I usually stir the flour in the bag to loosen it up, then scoop it with a spoon into my measuring cup and level the top. That way, the flour isn’t packed down and it’s as exact as I can make it. I was looking up original tiramisu’ recipe and I found yours! It looks amazing!! Care to link up to my newest bloghop on tiramisu’? 2 sticks of butter is 8 oz., equal to 227 grams. Also powdered sugar is the same thing as icing sugar. Happy Baking! Hi there! Delightful blog! I enjoyed reading it, and I love tiramisu, so I have to try these. I was familiar with Martha’s recipe, but they seemed too fussy, so I’m going to give yours a try. 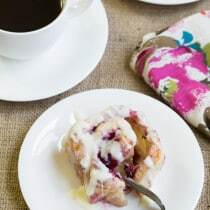 I am getting my own personal baking business up and running, and I have a big event next Friday to bake for, so I may give your recipe for these a test drive! Mind if I blog about it? I will give you due credit for the recipe and will even link to your blog, if you’d like. Thanks for the inspiration! Hi Mark, Thanks for stopping by. You are welcome to blog about them and I appreciate the consideration of linking back. I hope your event is a great success! These look so good! I love tiramisu and I love cookies! I’m definitely going to try making these! they look cute and a piece of heaven to put in the mouth. 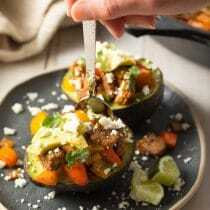 These look totally delicious – sometimes you’re better off not googling and finding out someone else had the idea already :) Ignorance is bliss – and I’m sure yours are better anyway! i will try this recipe…. looks like french macaroons…. perfect recipe for christmas…. happy holidays! I am all ready a fan of tiramisu…but in cookie form it looks even better! The cookies look so good. I love tiramisu. I am going to be dreaming of these cookies. Beautiful. Martha always thinks of everything. I will just pretend that you didn’t mention that and give all of the create to you. Tiramisu is one of my favorite desserts so I am really excited to see it in cookie form! Looks really incredible. Martha Shmartha, yours are prettier and I bet tastier! You know I really love Martha. She’s just always two steps ahead. Love these flavors! They are also very cute. These look so good I want to cry. One of my husband’s favorite desserts in tiramisu and I know he would appreciate these cookies. They are beautiful and look delicious! Oh my god, this may very well be heaven in a cookie! I LOVE tiramisu…never thought to put it in a cookie. What a delicious idea! Love them – so cute and look fantastic! Hope you had a fabulous time in Hawaii :) I was just there for my baby moon. Omg these are adorable & look incredibly delicious! Best tiramisu in cookie form that I have ever seen. Seriously. Totally making these asap! They caught my attention fast! These little guys are perfect for a party. Thanks for sharing. These look amazing! I know they are just delicious. Come visit. We have a great Kahlua hot cocoa this week and today we are giving away a wonderful Christmas present. A great book and it comes autographed! Come by and register to win. Wow, these look amazing! I love that it has all the flavors of tiramisu in one bite, because my tiramisu portions tend to get, ah, expansive ;) They look fabulous! Martha has NOTHING on your boozy pillows!!! Fabulous cookies!!!! I love tiramisu. My daughter used to send it to me all the time when she lived in Italy. These cookies look so tempting! I’m such a sucker for anything Tiramisu related – – these cookies are bad news … bad news that will make me feel ohhh sooo goooodddd!! 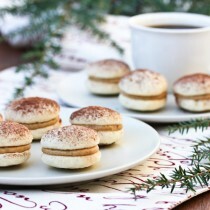 These sound amazing, love the Mascarpone Espresso Filling! I love these little beauties! They look fabulous! These cookies look fabulous! I love Tiramisu! You might try Captain Morgan’s Tattoo Dark Rum, it’s a very highly flavored, black caramelly rum and it’s not spiced like the other Captain Morgan’s rum. Maybe a splash or two along with some rum flavoring, would give the bit of alcohol zing. These look lovely, and yes, I also hate it when I think I’ve come up with something brilliant, then find it later online somewhere. I’m sure that yours are WAY better than Martha Stewart’s! I think it’s a pretty genius idea! Oh my, I’m in love with these beauties! They are adrable, and I bet they taste heavenly! These cookies look amazing and so tempting. I’m a sucker for anything tiramisu. gotta try your recipe soon. I love tiramisu and it is very interesting how you transformed this beauitful sweet to these absolutely adorable little treats! I love tiramisu, these look perfect! “martha ain’t got nothing on you honey!’ These look amazing!! 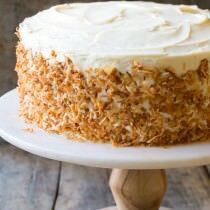 What a beautiful and creative idea of turning the classic cake into the bite sized cookies! Those look so fantastic! What a brilliant idea! Ahhhhhh! They’re so cute! Must eat them all! These are da’bomb. I also have to say that your pictures are in my top 5 of blogs I read, always just love them. These look so fabulous! My husband LOVES tiramisu but I’m not quite ready to attempt the traditional cake yet. This sounds like the perfect way of easing us in! Oh my goodness. I LOVE these! Now THESE are some cookies I could get serious about. I think these are very original, and the cocoa powder on the top is SUPER tiramisu, which Martha’s lacks. Points to you! Oh these look so good!! Yes….google is good for that. Happens to me to! Generally I keep any frosting out on the counter for several days with no issues. If you want to store them longer, wrap them well and place in the fridge. it’s official. i’m in love with these. Dang martha. I hate when I *think* I’ve created something… and then come to find out SHE kinda already did. I bet, a lotta money, yours are a TON better!!!!! They looks SUPER good! Ha! Hugs to Martha, I sorta love her and hate all at the same time. She definitely gives the rest of us a run for the money. I made these today and hope they will last until Christmas! 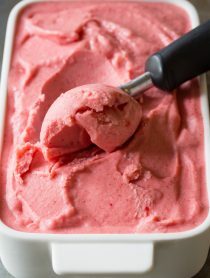 Question about the icing! Since there’s cheese in it do the cookie have to be refrigerated between now and Thursday??? They were so easy and look amazing! I bet yours are better!